Have you ever seen a Parrot AR.Drone? Alan Knott-Craig Jnr has one and he is happy to show it off, having it lift off as soon as we step into the still-deserted offices (one of three in Stellenbosch) of World of Avatar, his new mobile and media business venture. The Parrot AR.Drone is a toy quadricopter controlled via an iPhone, thanks to its on-board Wi-Fi system. What makes it cool, in geek terms, other than the fact that you are flying something via an iPhone, is the live video feed from the quadricopter broadcasting to your screen. I joke about bosses flying these things through those vast open air offices checking up on employees. He has a laugh and relaxes a little. Knott-Craig Jnr (@alanknottcraig) isn’t a stranger to media attention, being the former MD of iBurst, but also having had to speak up for his father against mighty Vodacom on opaque allegations of nepotism (that, quite tellingly, never progressed past the allegation phase). He’s had a tough learning school in media relations and faces (unknown) journalists with a slight sense of quite understandable caution. 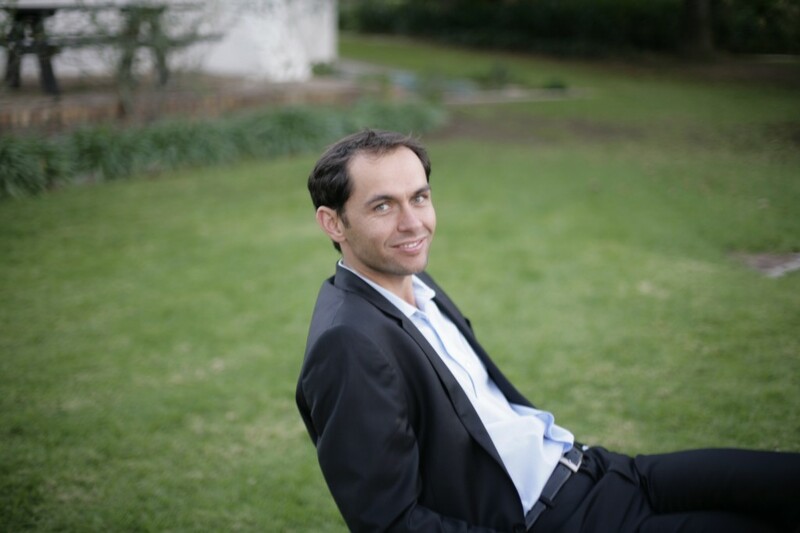 Having left iBurst, Knott-Craig Jnr moved to Stellenbosch with his family – his wife grew up there – and took a break from the business world. On a flight back from the States on 1 April last year, he decided he was ready to get back into the business game, that he wanted to use his experience and network in the mobile space, and that, whatever he did, it should benefit people and make money, rather than just one or the other. He called up some former colleagues from Cellfind, his first business, and within a month his new team of four had all gotten onto planes and resettled their families in Stellenbosch. Today the group consists of 14 companies, mostly focussed on the mobile consumer space, and a media investment in the Daily Maverick. The business was officially up and running by mid-August 2010. World of Avatar recently took on two investors, one a silent partner Knott-Craig Jnr doesn’t name, the other Francois Swart, the former CEO of Paladin and now the chief operating officer of World of Avatar. Knott-Craig Jnr and Swart did their articles together at Deloitte’s way back when and had been friends ever since. The companies World of Avatar has helped launch or have invested in include ARC Telecoms, free SMS service FSMS.co.za, app developer boom! with its mobile blogging platform and FireID. Investments have stood at around half a million and up, says Knott-Craig Jnr, who adds he only looks at investments personally recommended to him by his network (so forget about sending him unsolicited stuff). The initial investment covers living costs for the developers and gives them a chance to focus on the product or service they are developing, before being assessed for further funding. The idea is to tap into and empower the very talented base of software developers in South Africa and cover some of the risk they face on launching a new venture. It’s about more than money, though; rather, it’s about the entrepreneurial ecosystem that World of Avatar offers its start-ups, housing experts in many fields from WAP to location-based services, music and selling ads, all of whom are accessible to one another. Knott-Craig Jnr played an important role in helping get that wondrous experiment in online journalism, the Daily Maverick, off the ground. He and publisher Branko Brkic had become friends while Brkic was still publishing the Daily Maverick’s print predecessor, Maverick. After Brkic’s print enterprise collapsed, in part due to the costs of launching media magazine Empire, Knott-Craig Jnr, in his personal capacity, offered some start-up funding for Brkic’s new online venture. World of Avatar would later take a further stake in this business, and Knott-Craig Jnr was also instrumental in introducing Brkic to Styli Charalambous, who would become the CEO of the Daily Maverick in due course. Journalists are often being held down by Big Media which undervalues them and pays them low salaries, says Knott-Craig Jnr, who believes anything that can be done to cut out middlemen will benefit both content creators and consumers. He seeks to fund inspirational leaders, and media has very few of those, says Knott-Craig Jnr, and, while not mentioning Brkic directly, the context is clear. And hard to argue with. It’s also heartening to know there are business leaders out there who would rather finance quality journalism than try to squash it with their lawyer cronies. Back to mobile for a moment: World of Avatar aims to develop ‘smart apps for dumb phones,’ and more than that, it wants the mobile apps it develops to empower its users. While primarily focused on SA, World of Avatar wants to be active in 12 African countries in a year from now, and in 52 markets within three years. It will partner with locals who know the lay of the land, rather than go it alone, and is already working its networks to identify partners in East and West Africa. Knott-Craig Jnr says a lot of SA firms venture into the rest of Africa in pretty much the same style US companies would (read arrogantly) and that as a result they often get burnt. He intends to learn from the mistakes of others. Mobile, says Knott-Craig Jnr, has the ability to help people help themselves; whether it is the ability of a local band to upload music and find its audience or for craftspeople to display and sell their goods online, apps are tools that can do more than just make money for their creators. The apps World of Avatar is developing is aimed at the bottom two-thirds of the pyramid, and the aim is to keep those customers as they gain traction and move on up. For Knott-Craig Jnr, this approach makes more sense than sitting at the top of the pyramid and wondering how the hell you are going to reach the vast majority of the population (and mobile users).